All too often there are sulky children at my dinner table. They show up especially when we've had a few too many days in a row of new recipes. They are same-old kids, they like the same old things for dinner. 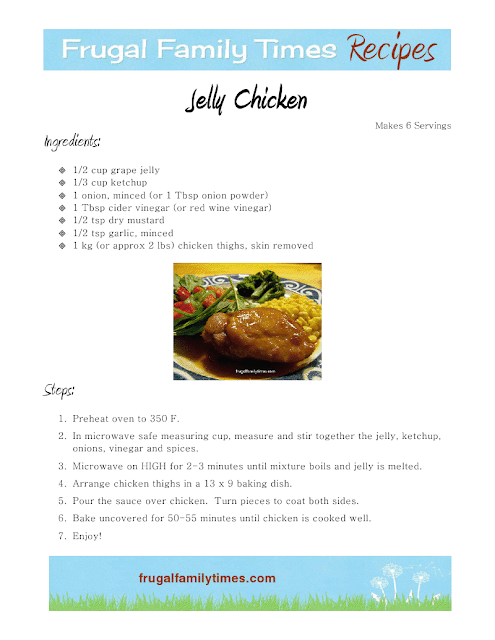 When I'm at my limit for pouts, and especially their thinly disguised scowls, I pull out this Jelly Chicken recipe. Turns those sulks into smiles. It's a table-pleaser and a mom-pleaser. It's easy to like and easy to make. I've tweaked the recipe to use less sauce than the original, to make it less expensive and more healthful. This baked chicken recipe has been a favourite around our table since my good friend, and fellow Registered Dietitian, Jane led me to it. 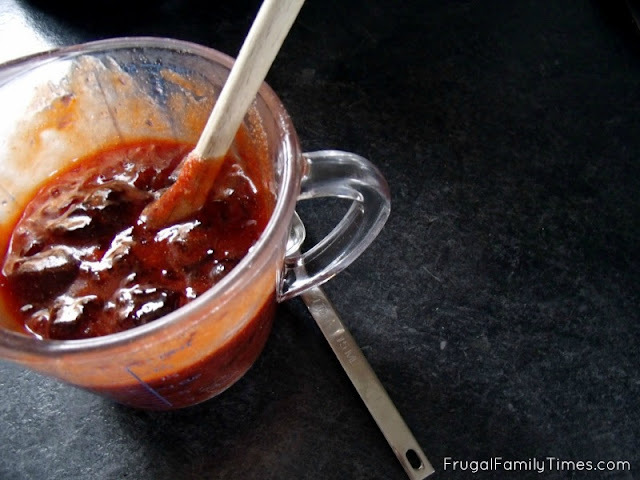 In microwave safe measuring cup, measure and stir together the jelly, ketchup, onions, vinegar and spices. Microwave on HIGH for 2-3 minutes until mixture boils and jelly is melted. 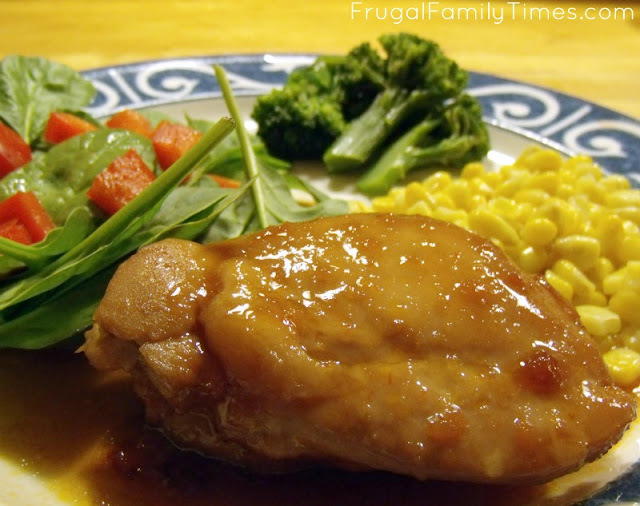 Arrange chicken thighs in a 13 x 9 baking dish. Pour the sauce over chicken. Turn pieces to coat both sides. Bake uncovered for 50-55 minutes until chicken is cooked well. This recipe is one of the meals on our Meal Plan Master List. Check the whole kid-friendly list out here. What's your fail-safe table-pleasing recipe?